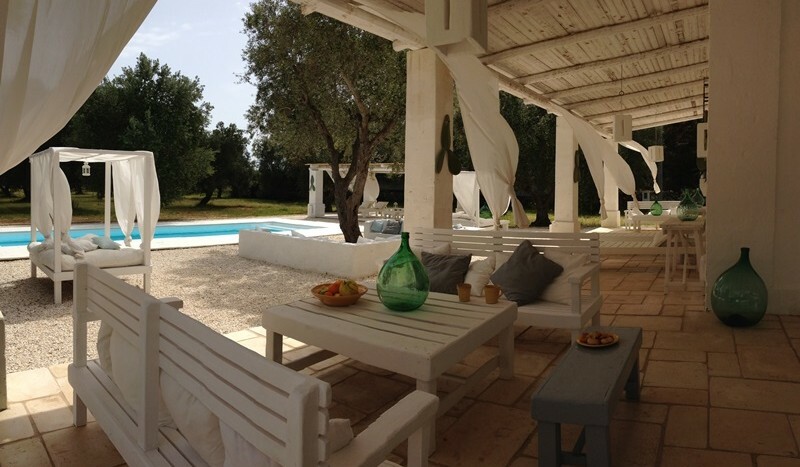 Surrounded by vineyards and close to the beaches, this Pugliese villa with swimming pool is one of the most beautiful accommodations for discovering the region considered by many people as the most tourists friendly of Italy. 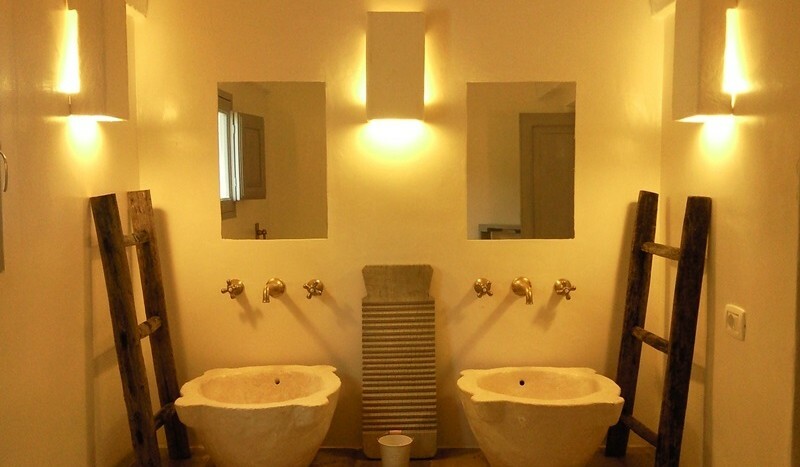 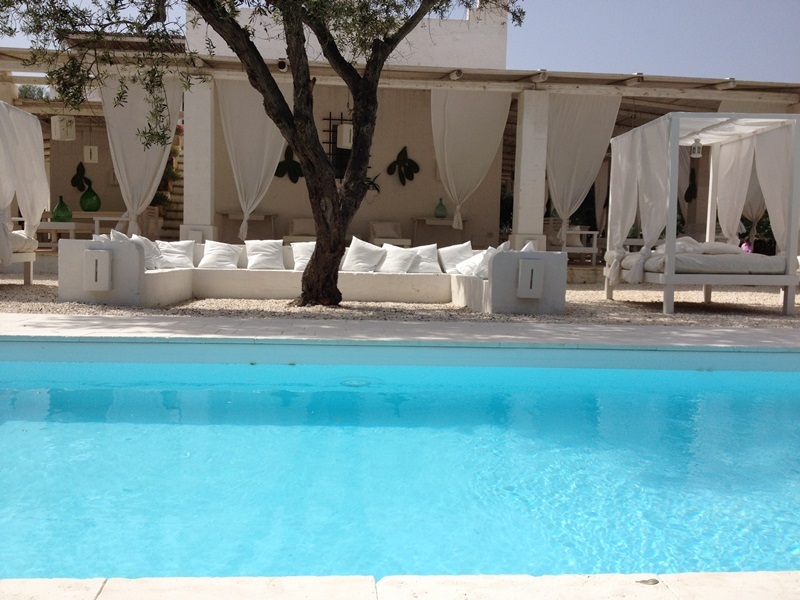 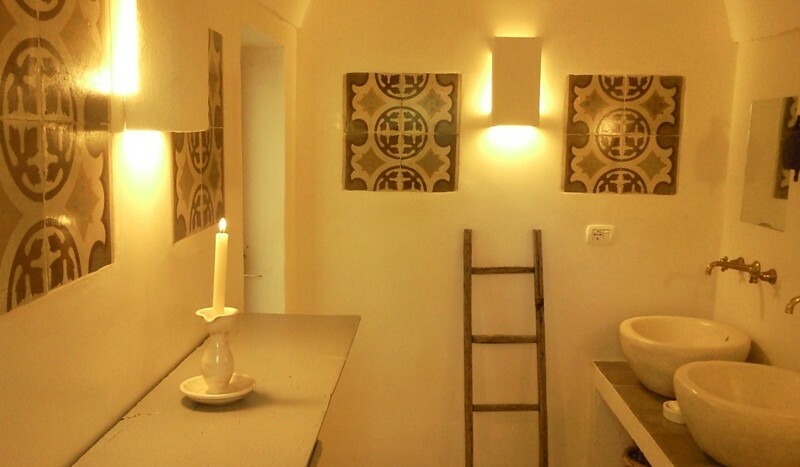 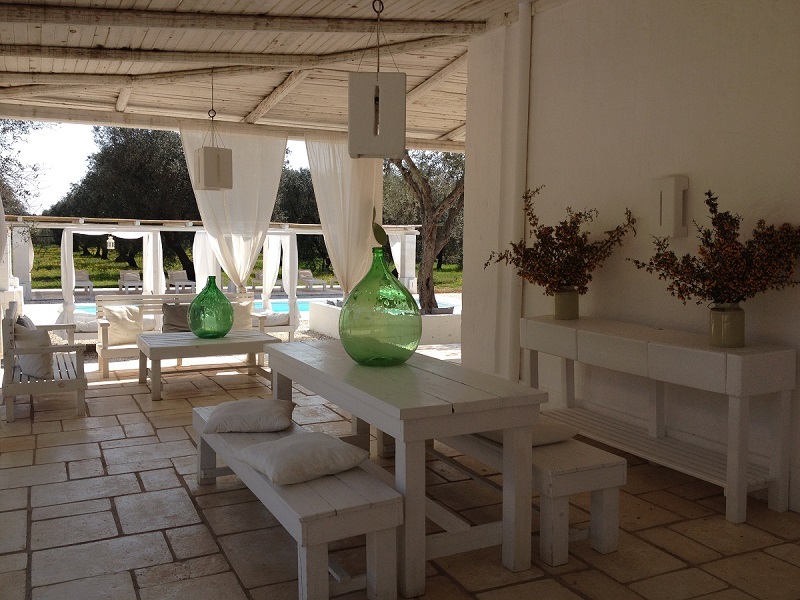 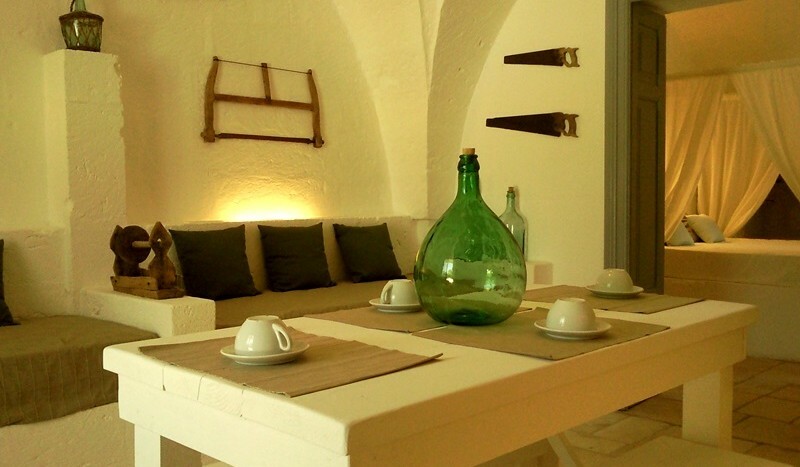 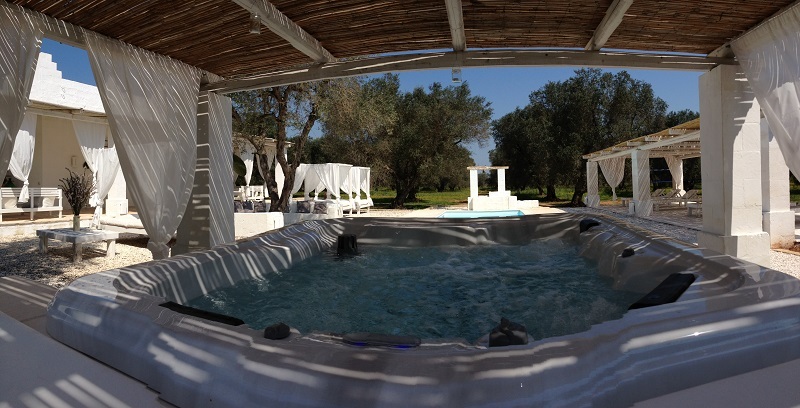 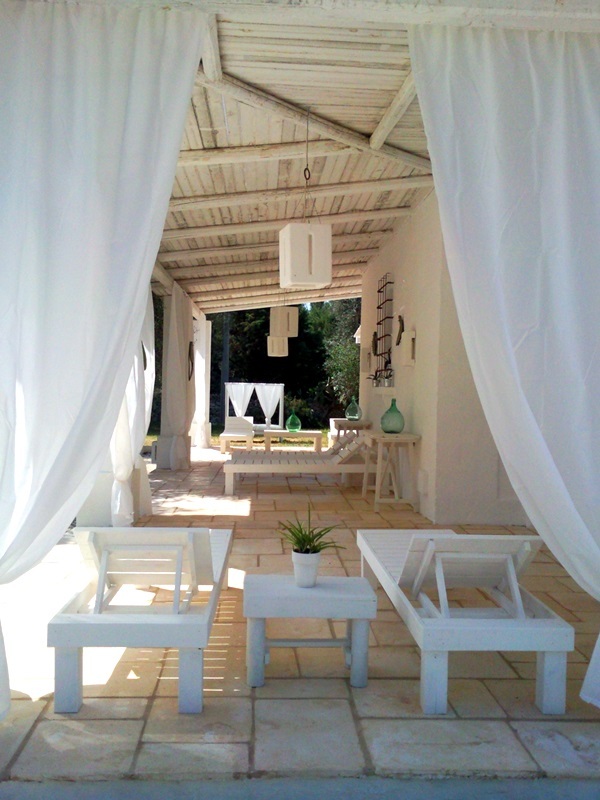 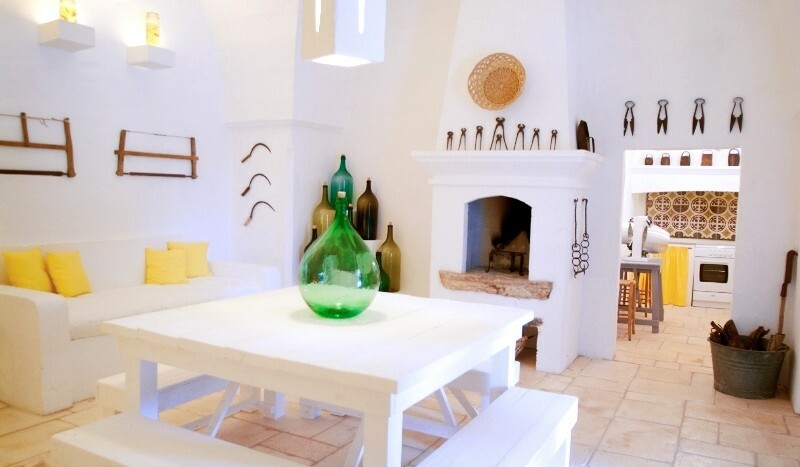 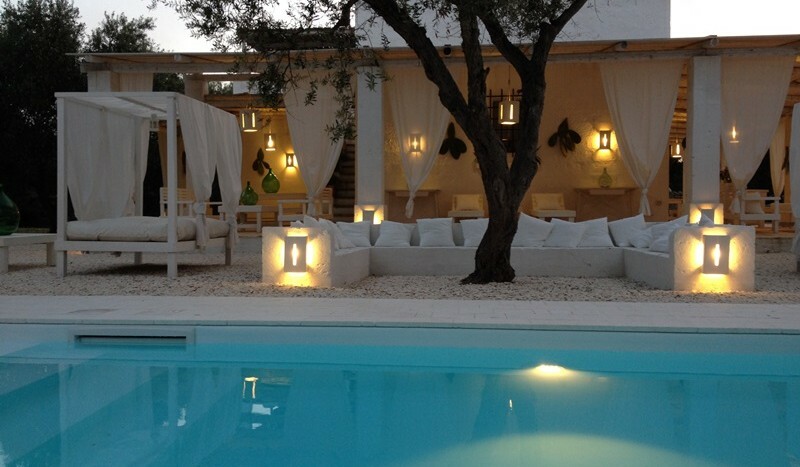 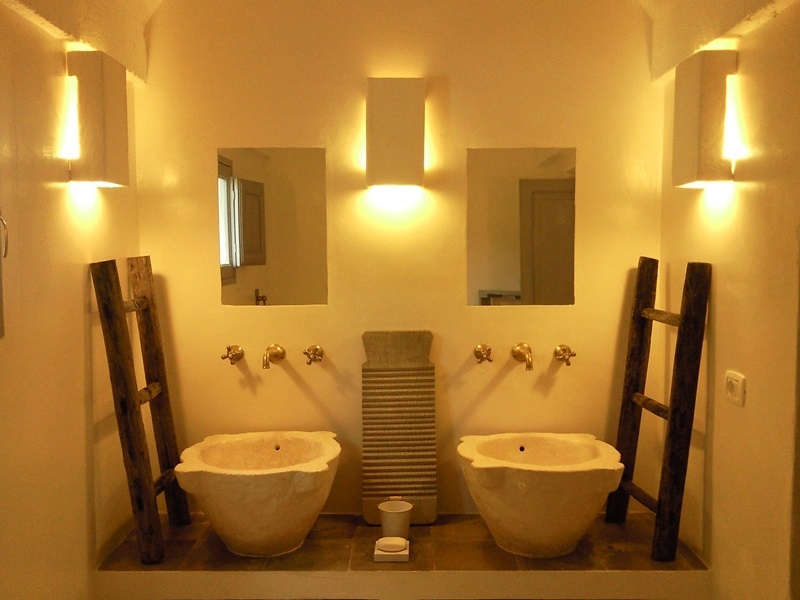 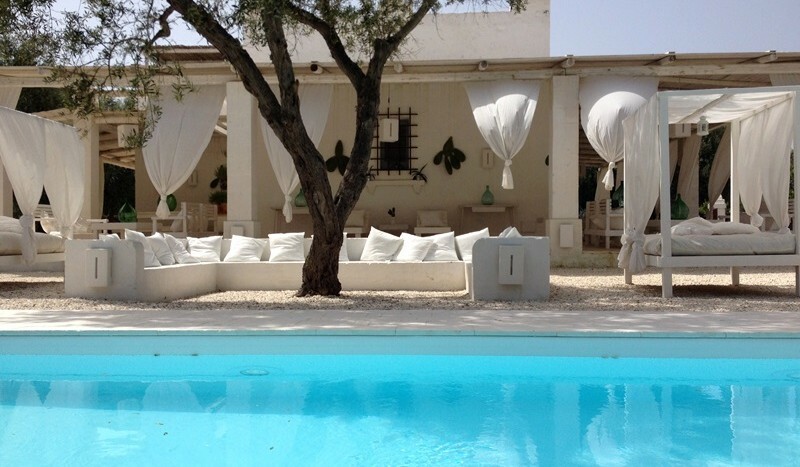 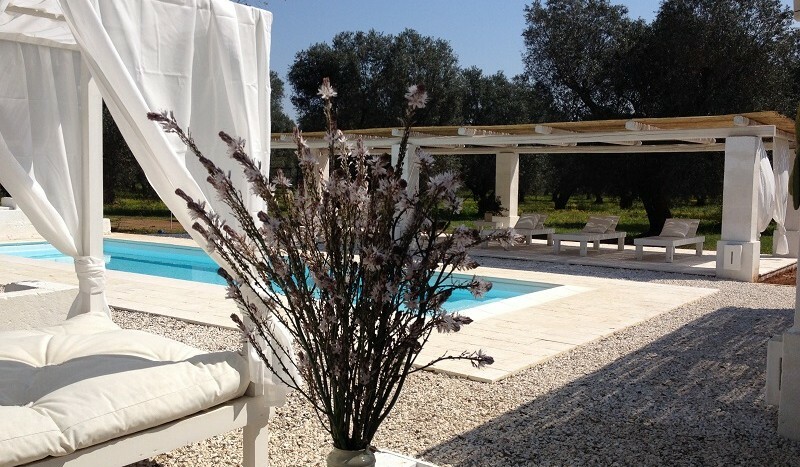 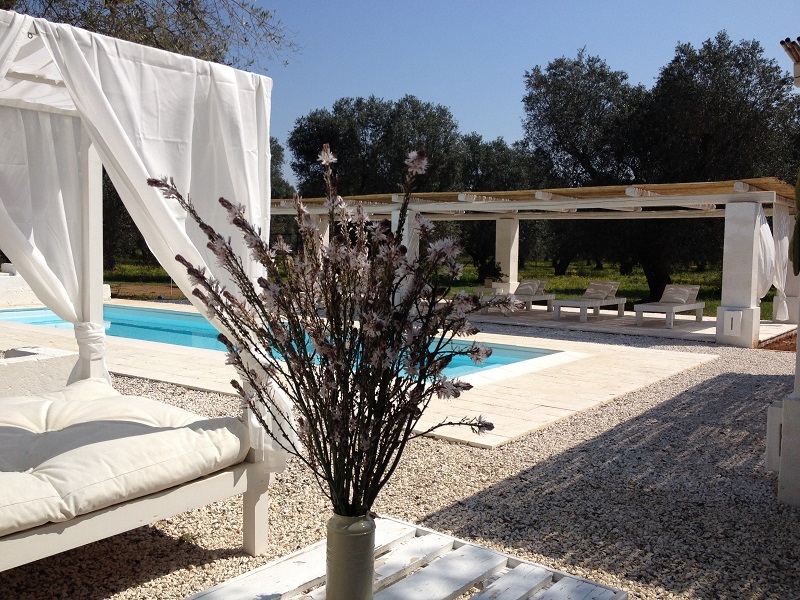 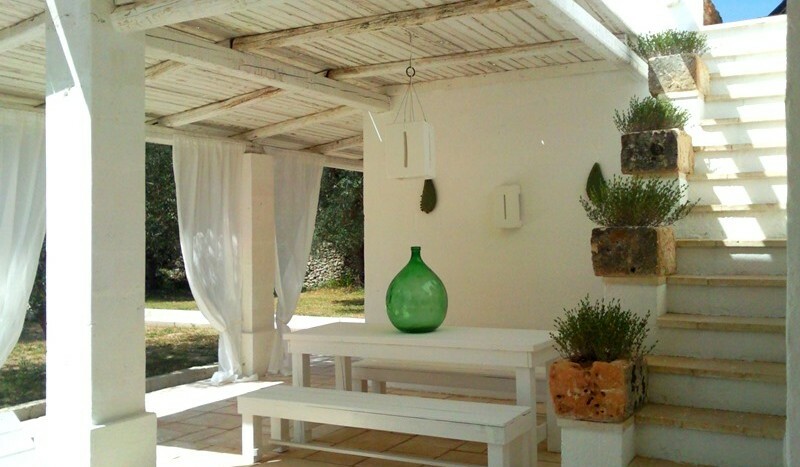 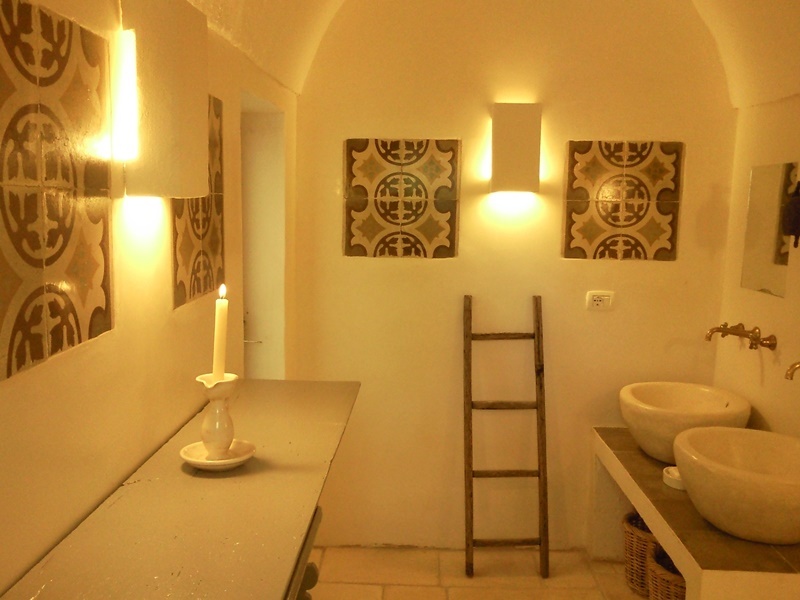 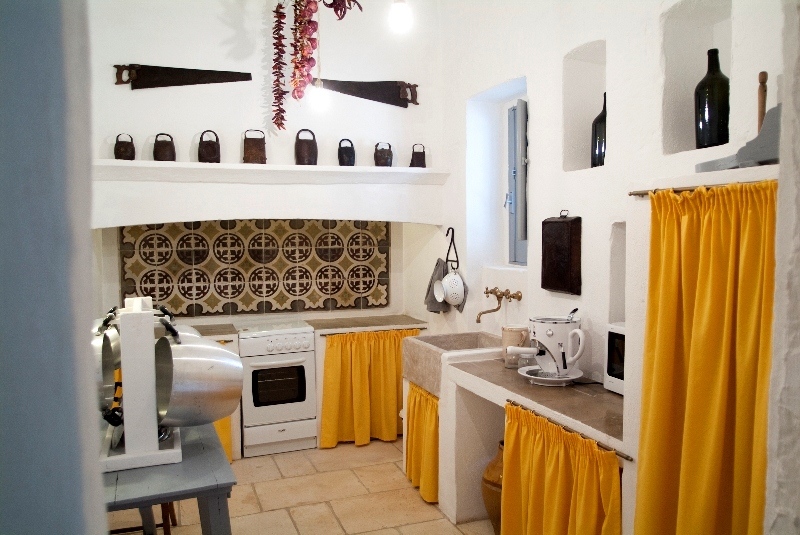 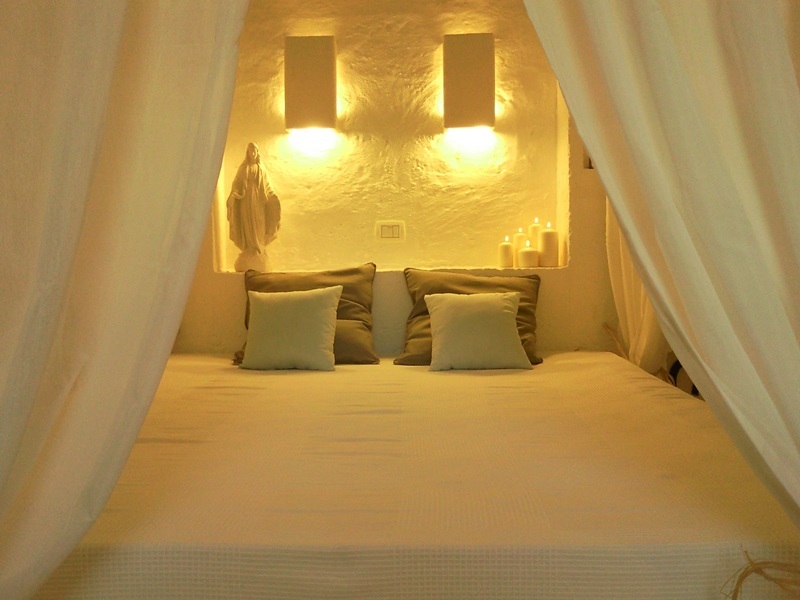 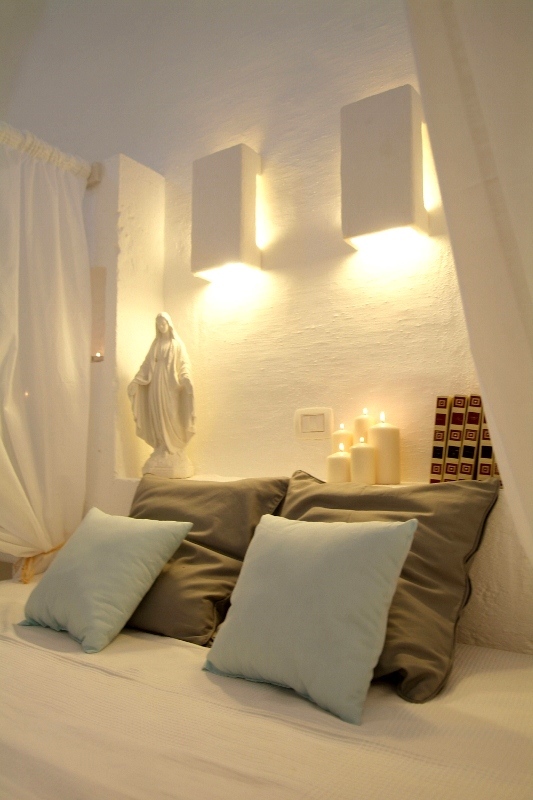 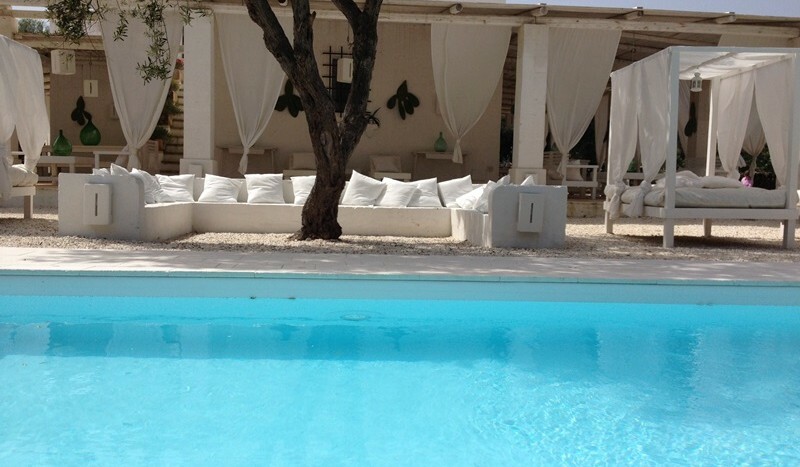 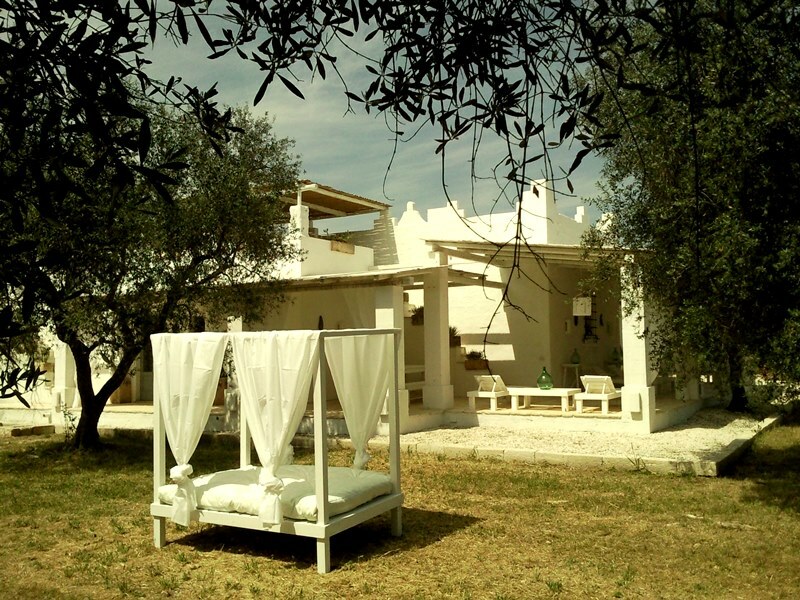 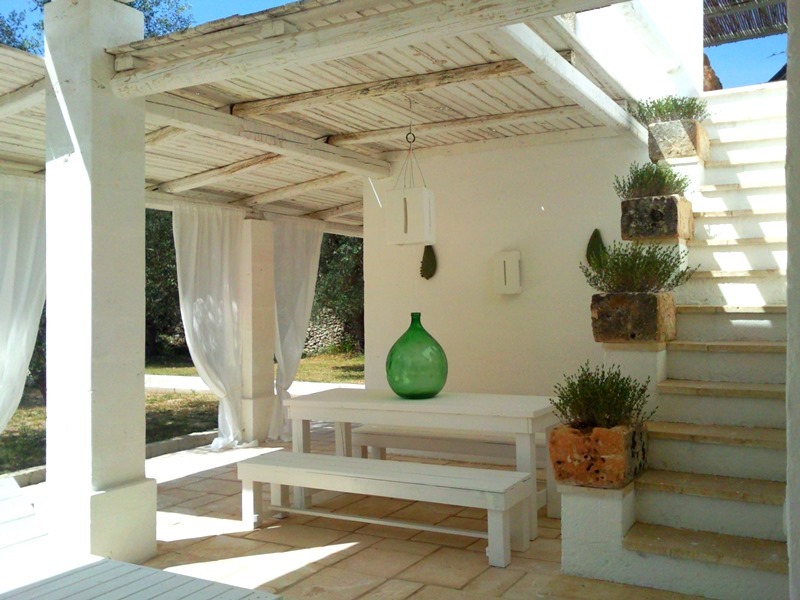 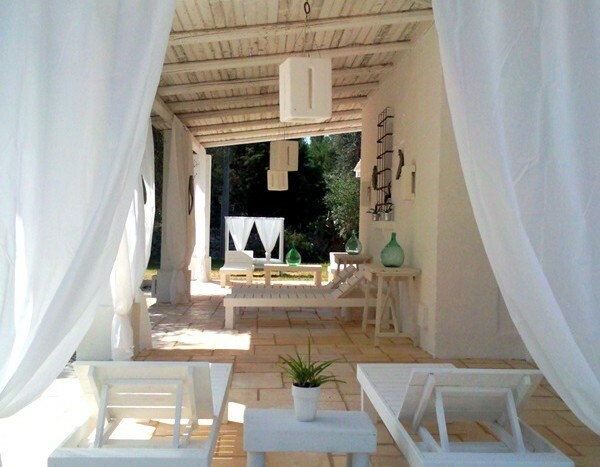 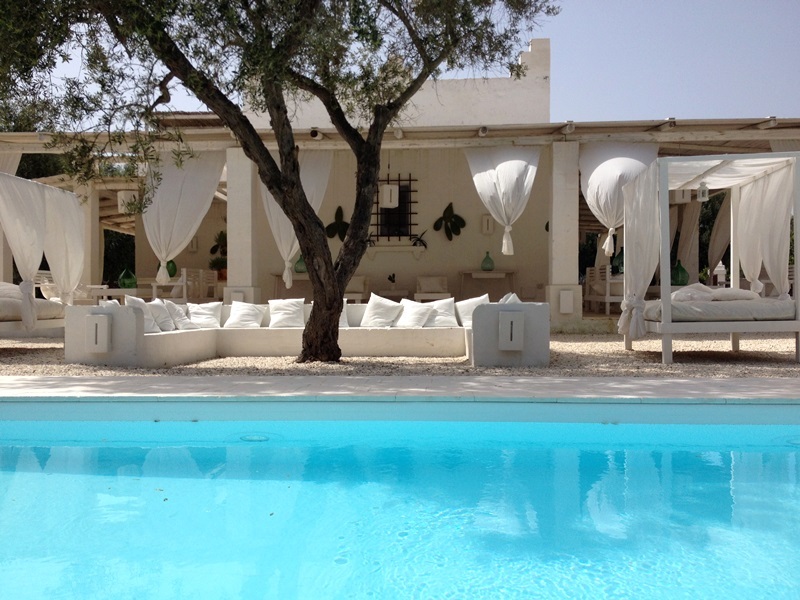 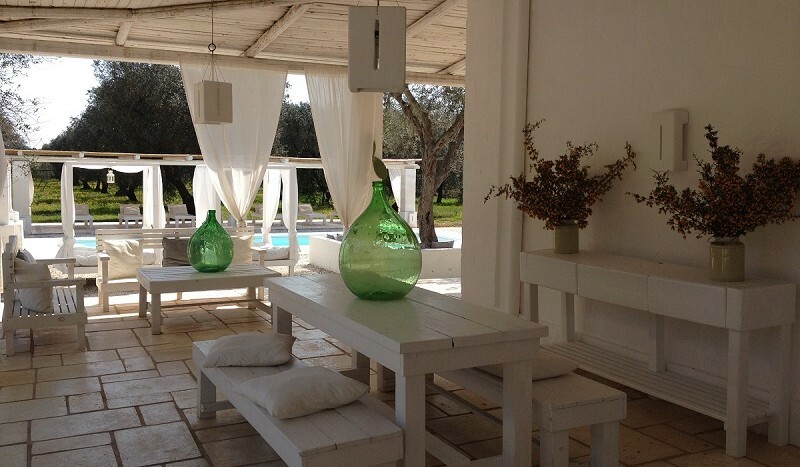 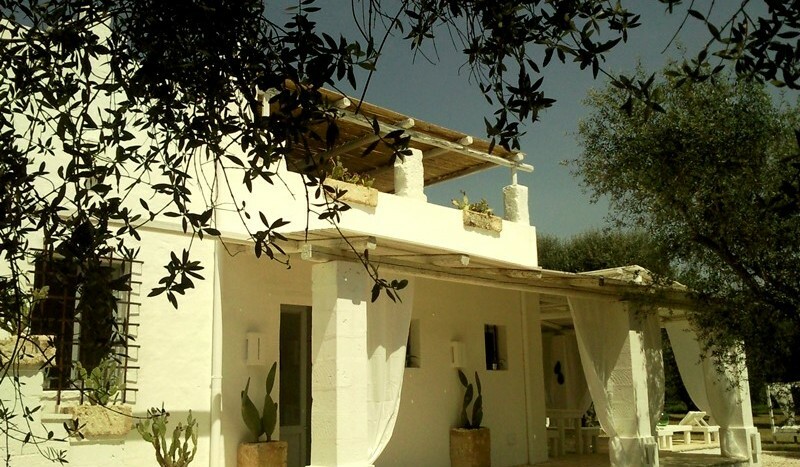 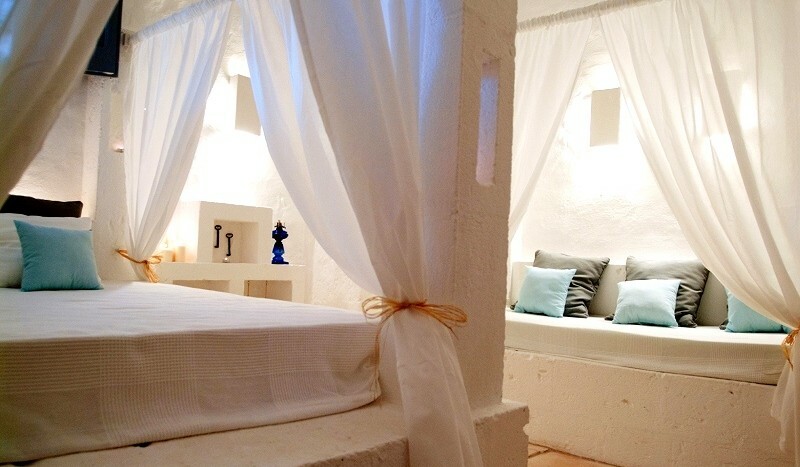 Masseria Scorcialupi is a 18th century villa, renovated with a careful attention to details. 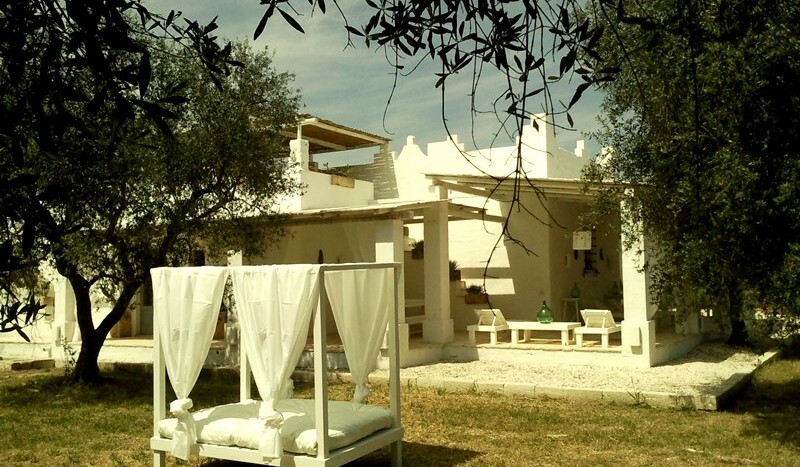 Thanks to a considerate renovation of the property, the owners have achieved to create a small pearl, surrounded by 30,000 sqm of private grounds with olive groves and vineyards, only 2 km away from the beautiful sandy beaches of the Ionian coast. 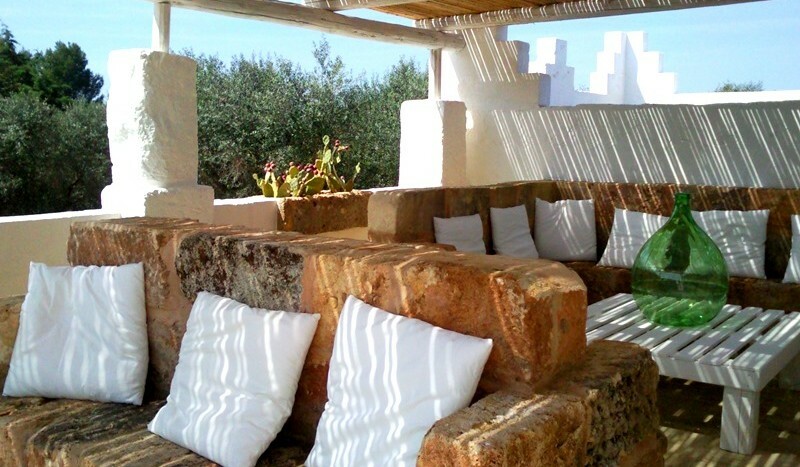 The whitewashed facade and the dry-stone walls of this estate are surrounded by the reddish earth of Salento, vineyards, centuries-old olive trees and aromatic herb plants. 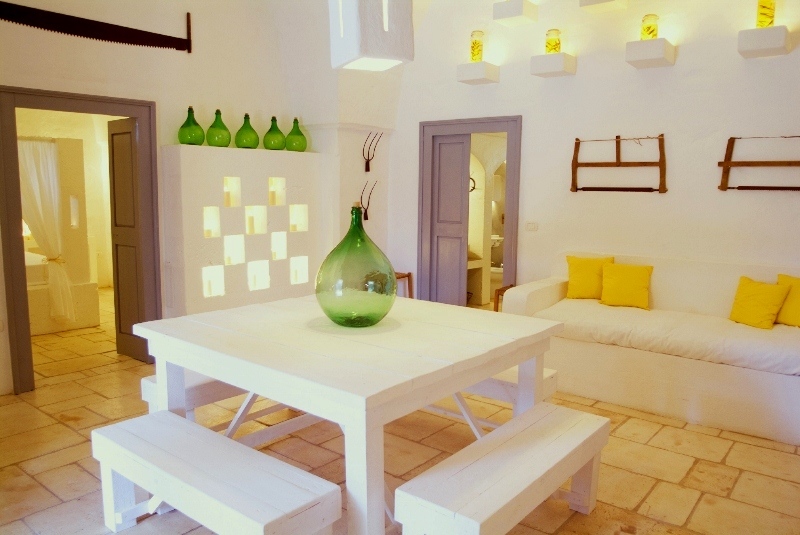 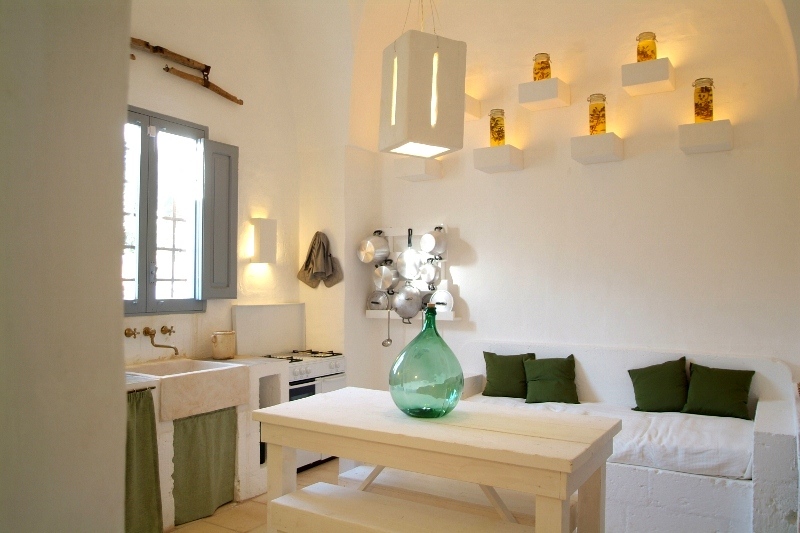 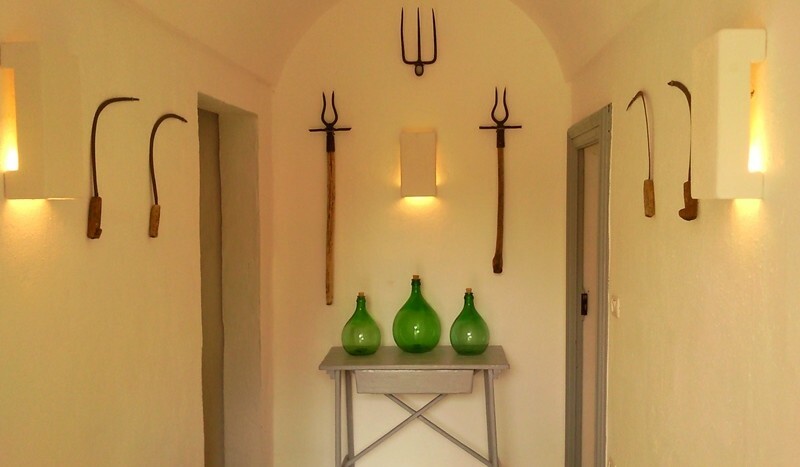 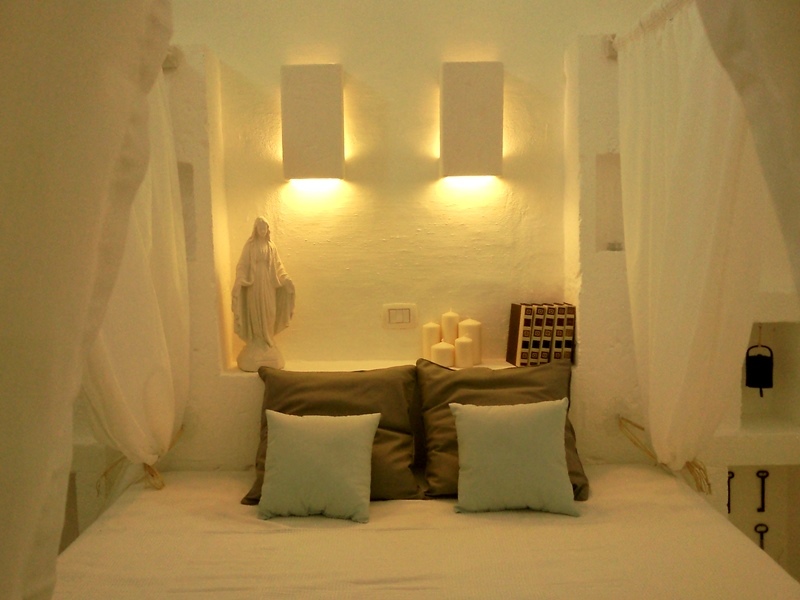 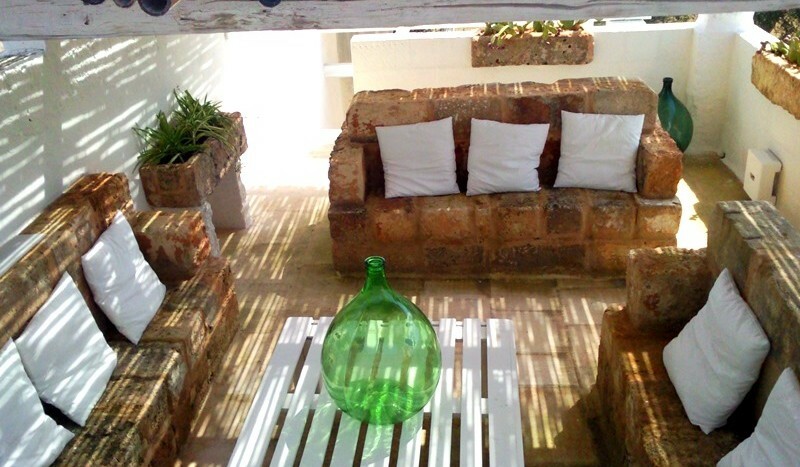 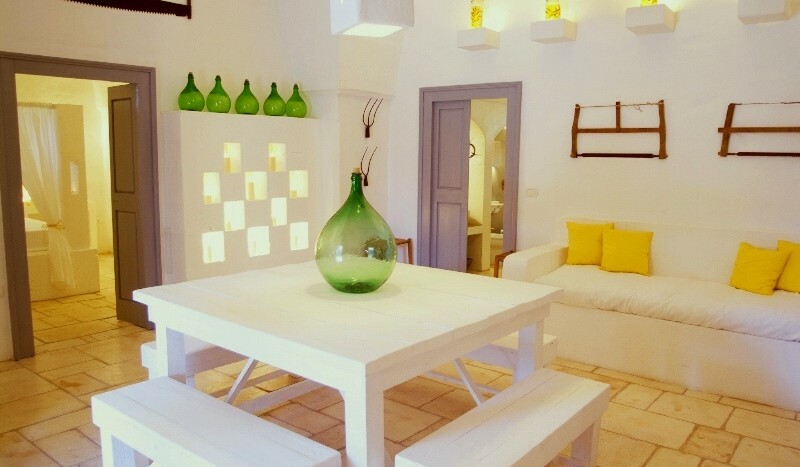 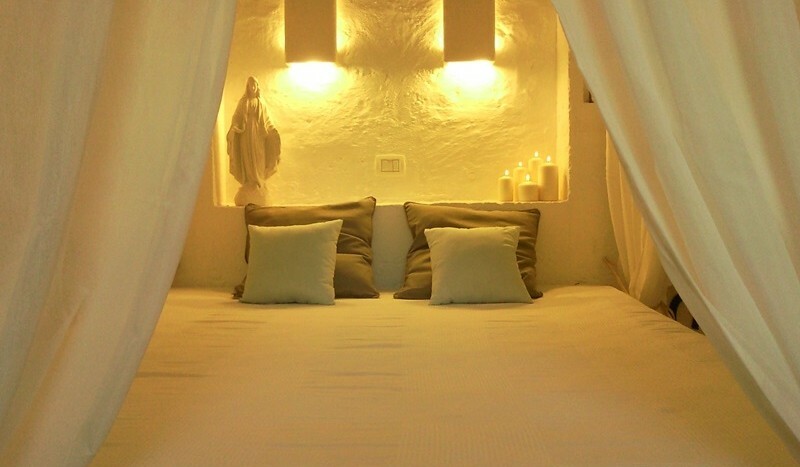 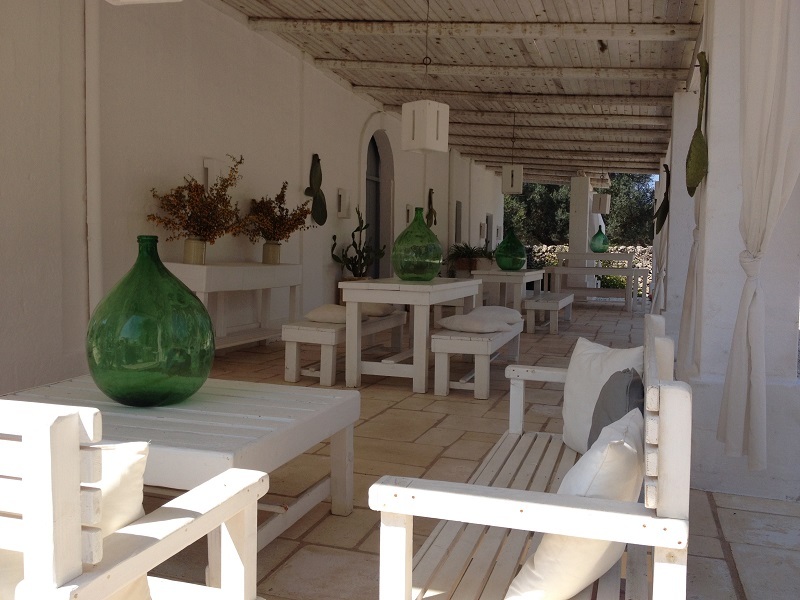 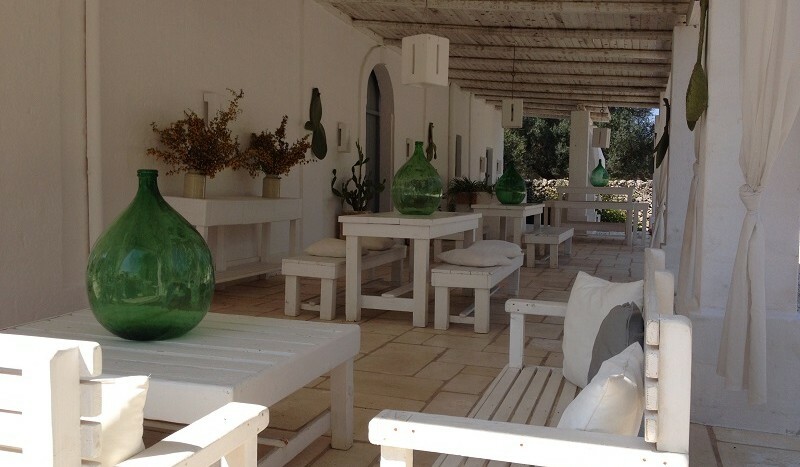 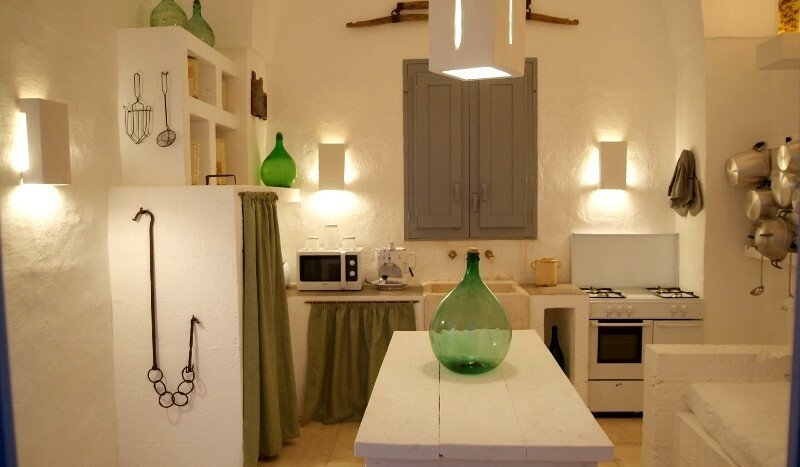 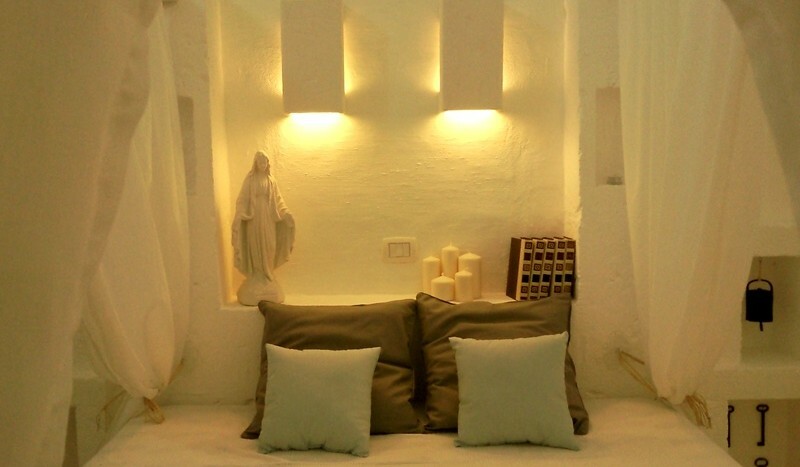 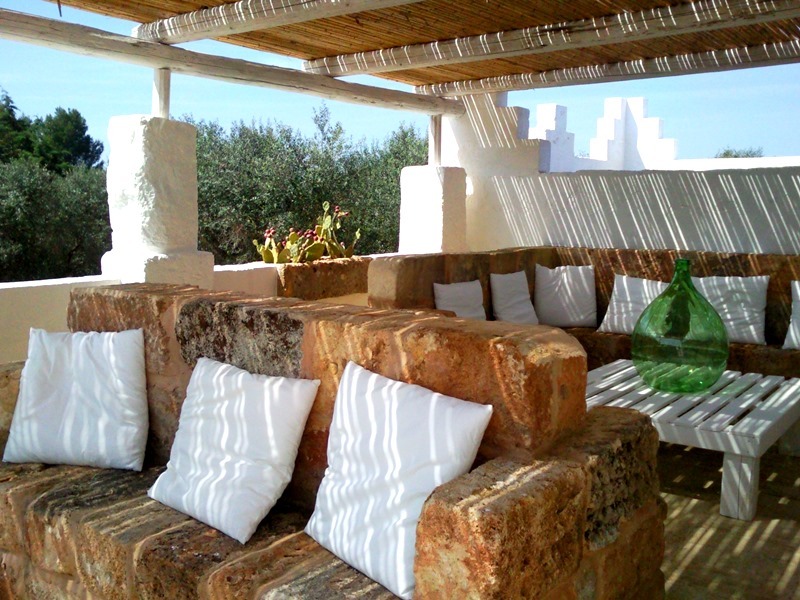 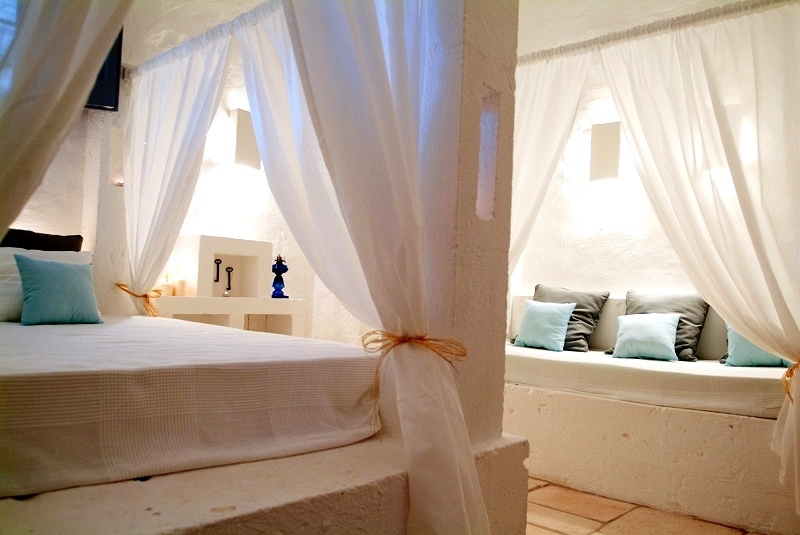 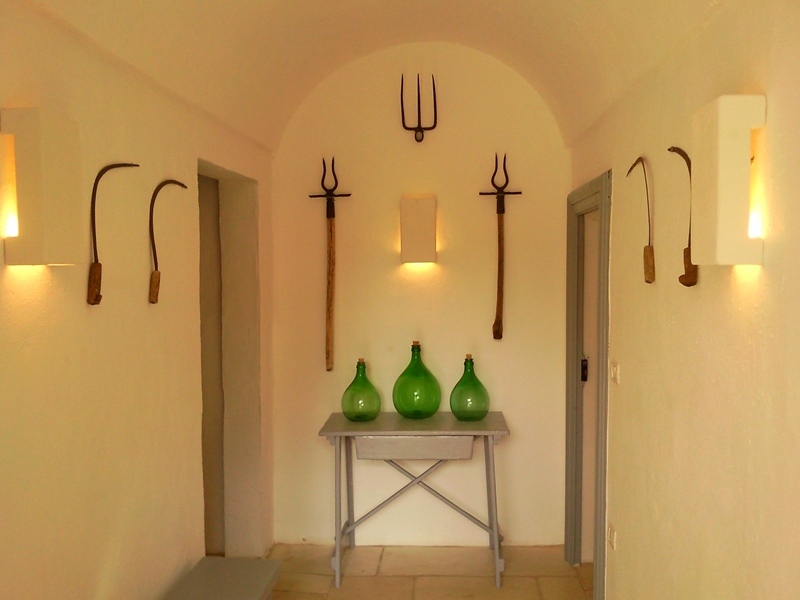 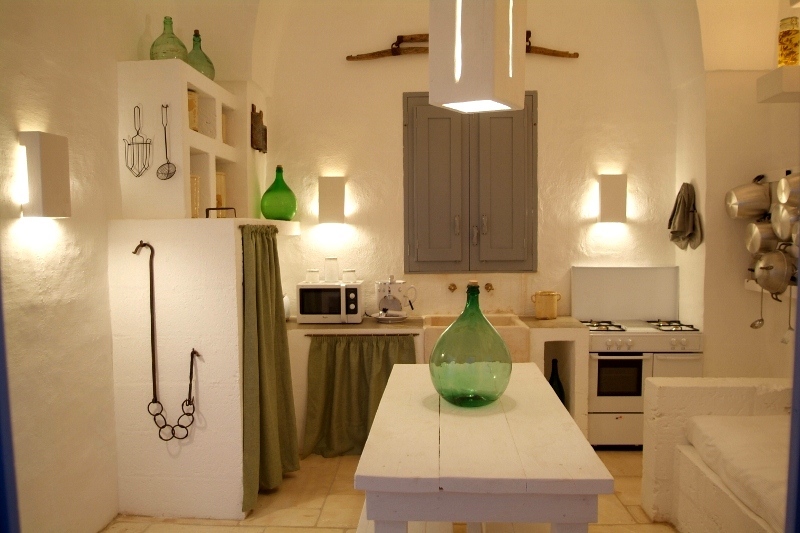 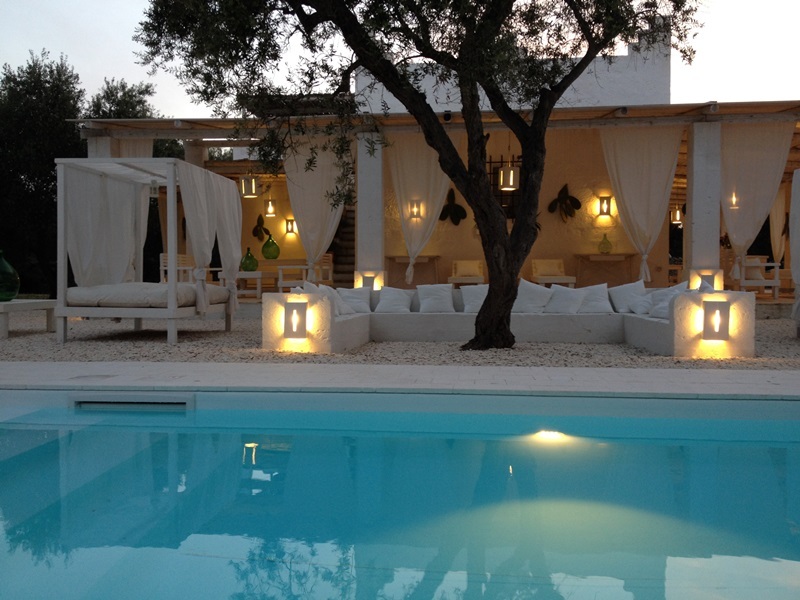 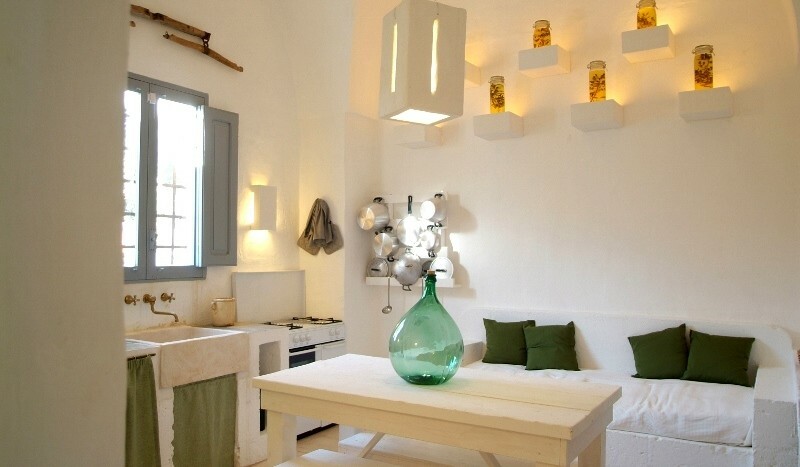 The Masseria is divided in three separated apartments named after the herbs of the courtyard. 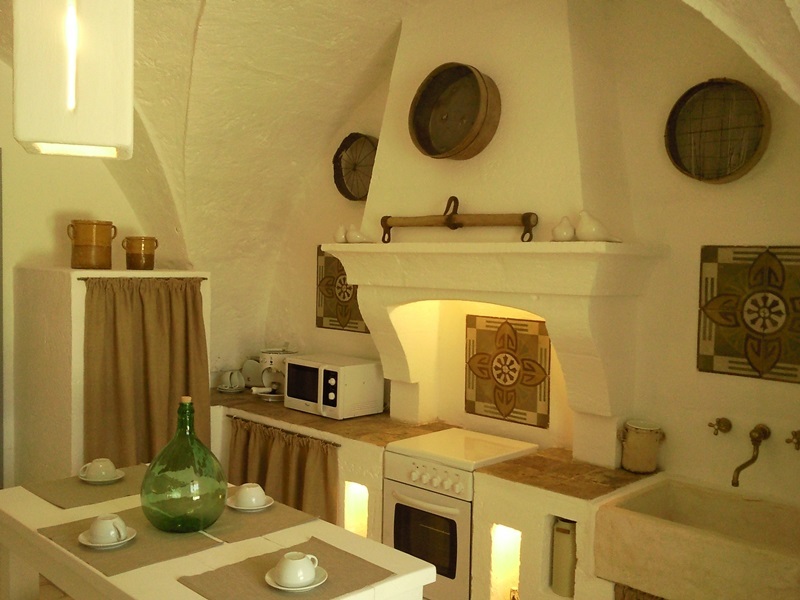 All the apartments have a kitchenette, a separate entrance, and extend over a total of 240 sqm plus a 200 sqm outdoor terrace. 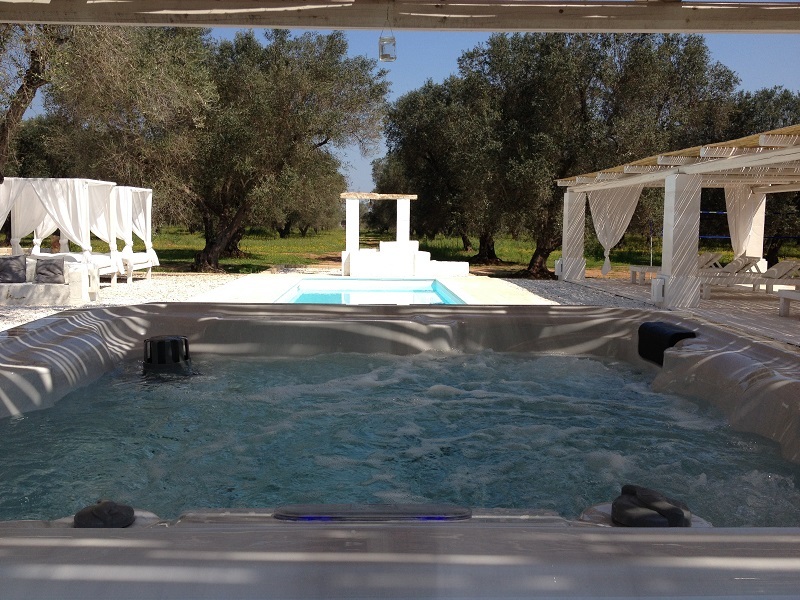 Guests will also have access to the brand new large swimming pool, just recently completed and also mini – heated swimming pool with Jacuzzi 5 seats , with chromotherapy. 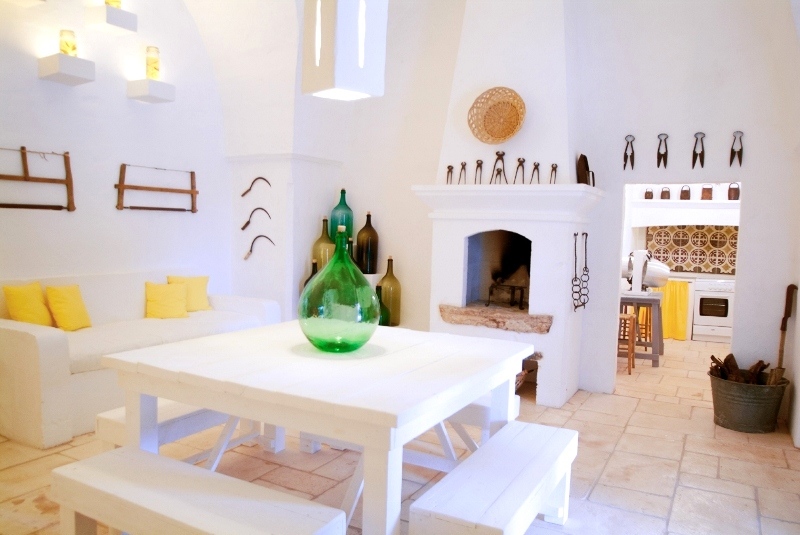 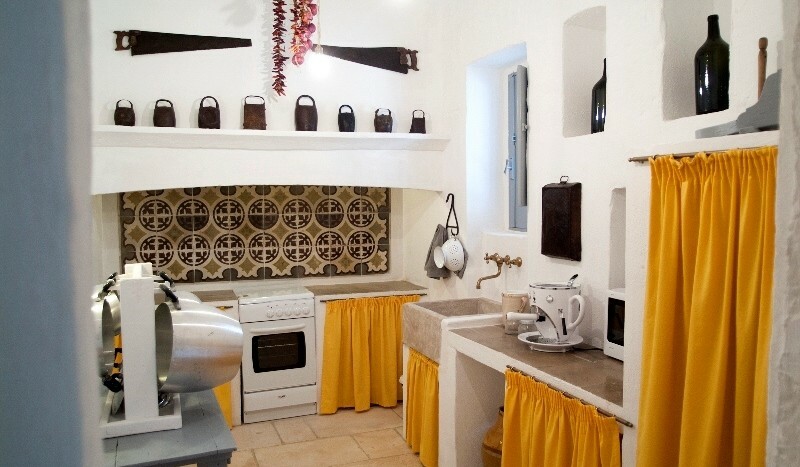 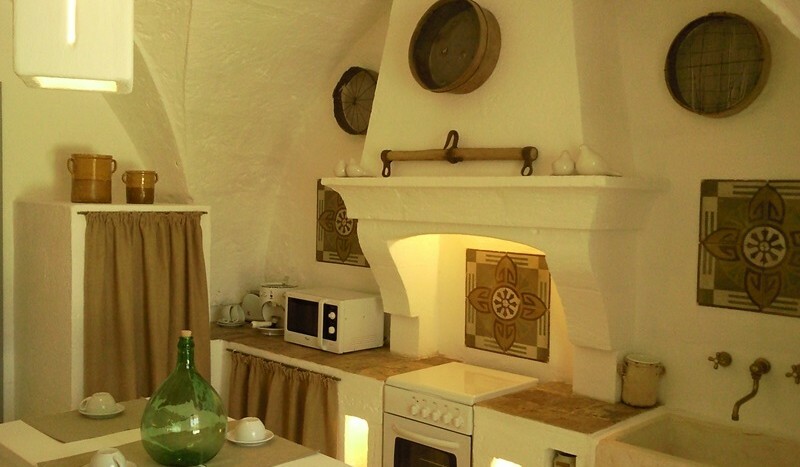 The decor has the traditional style of Puglia’s manor farms. 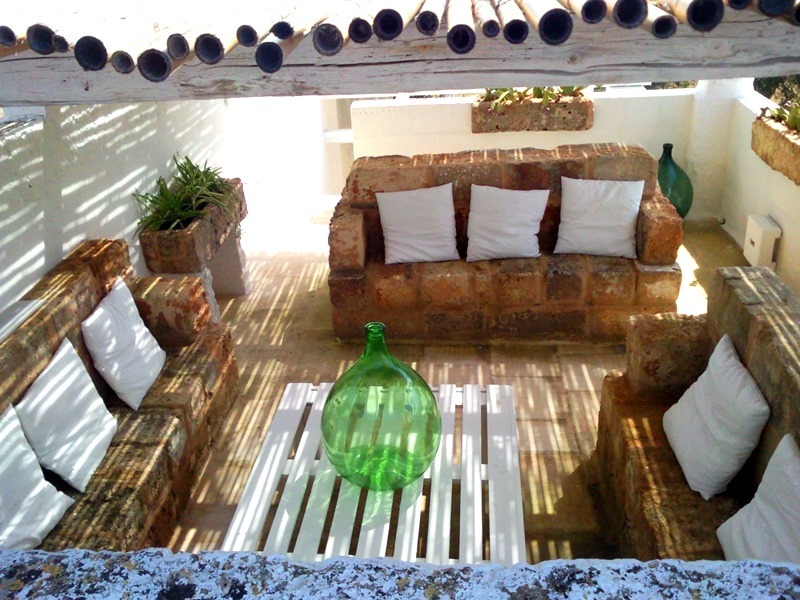 The 200 sqm terrace offers a terrific view of the country and features a covered patio, sofas, couches and a large bbq grill in a separated area for delicious barbecues. 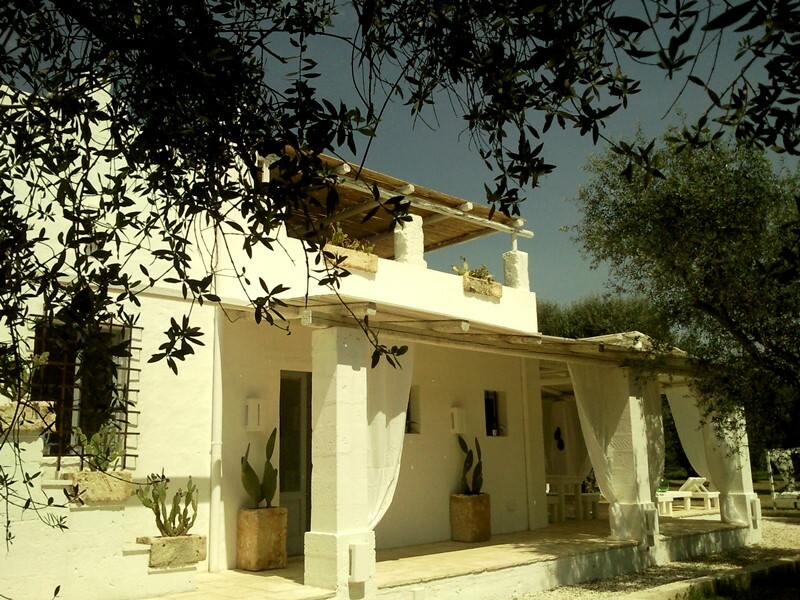 We are located in the very heart of Salento, just a few minutes away from the port of Campomarino di Maruggio, in the province of Taranto. 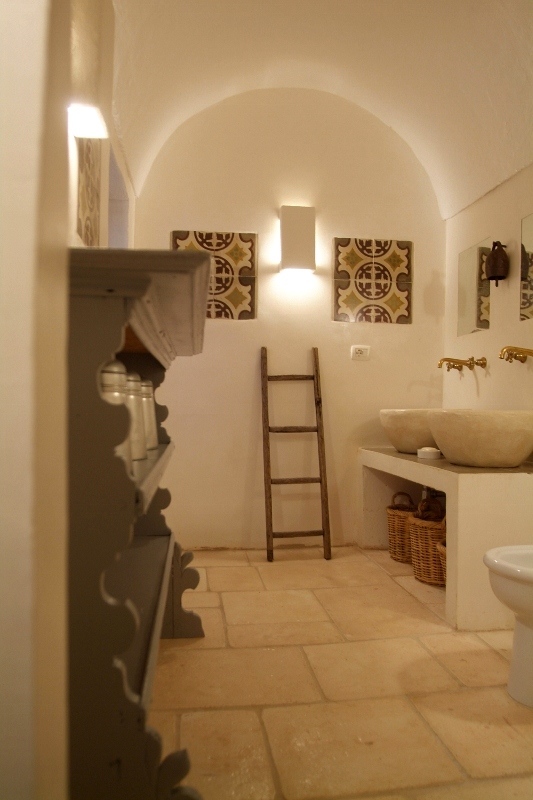 The city of Taranto is located 15m above the sea level, and is known as “the city between the two seas”. 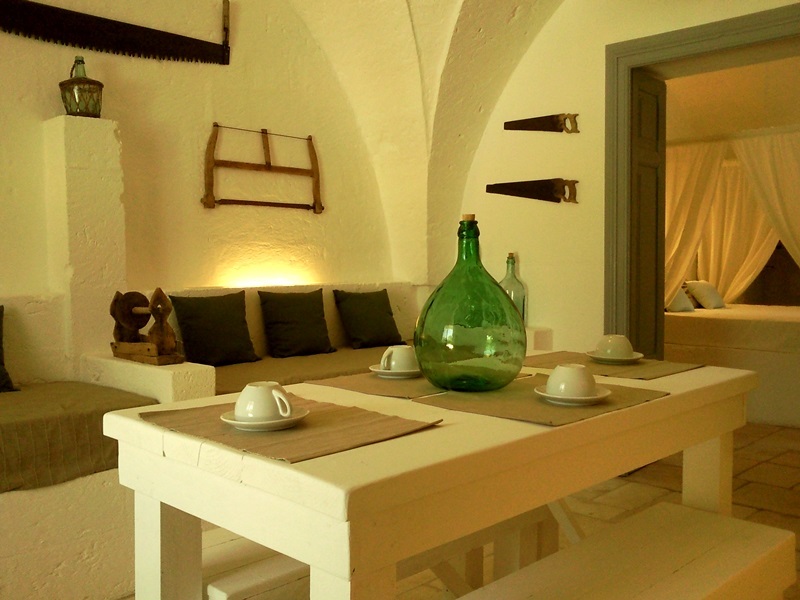 Its old city centre is beautiful and we recommend to pay a visit to its “castello aragonese”. The beautiful baroque city of Lecce, known as the Florence of the South, is nearby as well, just 55km away from the masseria. 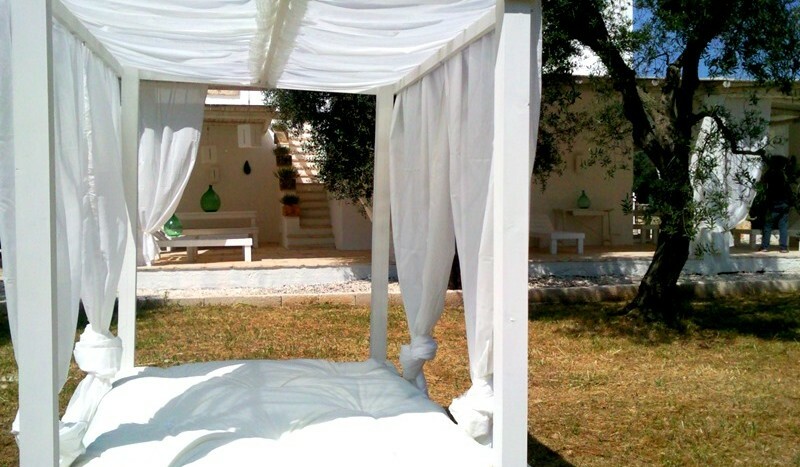 All the most important and famous sights of Puglia are within a hour’s drive: the baroque Martina Franca, the Trulli’s capital Alberobello, as well as the coastal towns of Gallipoli and Santa Maria di Leuca, just to mention a few. 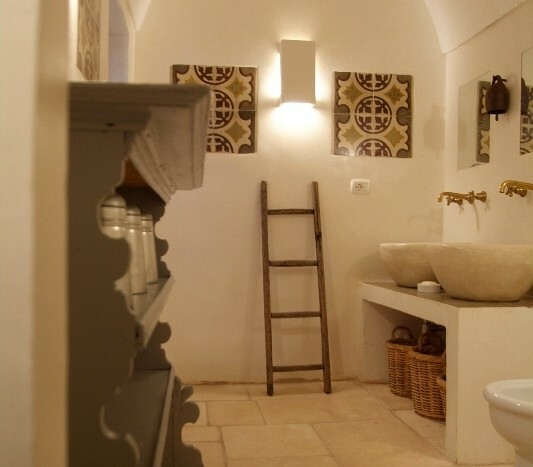 Address: The baroque city of Lecce, mosaics of Otranto, the whitewashed towns of Martina Franca, Monopoli, Ostuni, and the coastal town of Gallipoli.